I hope you’re doing great and you’ve been reading amazing books lately! Life kinda caught up with the three of us these last few months and reading and reviewing have been put on the back burner for us. I can’t speak for Sarah or Eon, but I managed to get some reading done regardless, even though my reviewing slump is still there. by Kevin Hearne, recommended by my lovely friend Celeste. I decided to read the first book on Kindle (so I get familiar with the names and places) before I get the audiobooks (narrated by Luke Daniels and also highly recommended by Celeste). Nice Dragons Finish Last (Heartstrikers, #1) by Rachel Aaron, recommended by my friend and amazing reviewer TS. Moon Called (Mercy Thompson, #1) by Patricia Briggs. I’ve been eyeing this series for a long while now and I can’t wait to discover Mercy Thompson’s world (again, highly recommended by Celeste). by Kyoko M. This is a book I discovered through my favorite UF authors’ blog and one I can’t wait to discover (The cover is gorgeous imo!). Here is the post and Ilona’s recommendation. It’s currently free on Kindle! I ended up creating a poll to help me decide which series should be my starting point and my winner was: The Others by Anne Bishop (another favorite of my dear Celeste). I really enjoyed the first two books and am now eating up book 3, Vision in Silver. An original and sometimes dark UF setting and story! The next book has nothing to do with Fantasy or my other usual reads. It’s actually poles apart from them and it’s a book I’ve meant to start for a while now. It’s a spiritual journey attempted by its author, Yasmin Mogahed, in order to save her heart from being entrapped by life’s hardships and losses and heartbreaks. I feel like this point in my life, where I’m questioning a lot of things, is probably the right moment to discover what lessons Reclaim you Heart might offer! Okay, so most of the books I bought this month are on Kindle. I’ve been reading ebooks for almost 3 years now, despite my early reluctance. But even though I never go anywhere without my Kindle, I’m still an unconditional lover of physical books and I pay even more attention to the few ones I buy or receive. And I’m so incredibly happy with the special ones that joined my little Fantasy collection this month! And last but not least, this amazing, early-birthday present from my Celeste! Thank you, my love! Malice and Valor, first two books of one of my favorite series of all time: The Faithful and the Fallen, by one of the most talented new names in the Fantasy genre today: John Gwynne. I can’t describe how happy and emotional I was when unpacking this! How about you, guys? Which new books joined your shelves this month? Happy early birthday!! Malice is one of my all time favorite fantasy series on my shelf. So worth owning! I’ve been meaning to try out Anne Bishop and Patricia Briggs. Excited to see what you think of them! Thank you so much!! Birthdays are so much more exciting when books are involved 😀 and when it’s a favorite series, it’s even better! I’m enjoying The Others a lot for now! It’s original and it’s a bit dark sometimes. I’ll do my best to write reviews of the first 3 installments this week! Thank you so much, love!! Two of my favorite books and the Orbit edition is so neat! 👌💕 your recommendation is working perfectly for me so far, I won’t complain either! 😆😙 can’t wait to read TIDC and Mercy Thompson! I sort of tried to stop myself from acquiring more books this year, as I already have stacks of unread ones…but I failed. Just recently I dropped about $30 for a first edition of Rosemary Sutcliff’s Song for a Dark Queen and don’t for a moment regret it. Earlier I picked up a few interesting-looking fantasy novels, and (I think) one or two nonfiction ones. I need longer walls, so I can fit more bookshelves against them, so I can get my stacks off the floor so I can walk freely again! Ooooooh. That is a VERY fine book haul Haïfa! Of the kindle haul I have only read Kevin Hearne’s series which I enjoyed very much. Seen or heard about most of the others though and they are well liked. Jo LOVES The Others series though and cannot speak highly enough of it. LotR is of course a staple and all time great. The first fantasy I ever read and it blew my mind. Of course Sanderson’s Oathbringer blew my mind just recently 😀 I have thought about reading the Illuminae series but that format…Not sure If I am going to enjoy it. And the Faithful and the Fallen!!! Woohoo. What a series! So happy you have those physical beauties to adore! 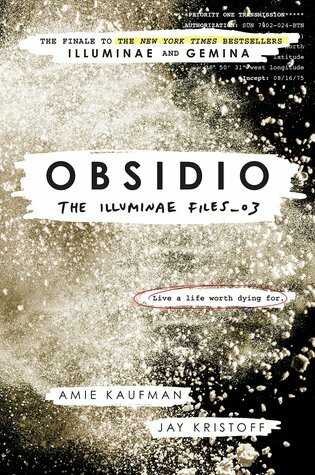 Hey you REALLY should try Illuminae!! I hesitated two for a while but I totally fell in love with the format (which compensated for some plot weaknesses and YA cliches imo)! 5 or 6! Waw but hey I’m like 5 or 6 reviews behind as well! I need to muster enough strength, time and inspiration to finally sit and write them! LOL lemme know how you feel about Grey Sister, buddy! I have it but I don’t feel like reading high Fantasy yet.. I love that you like ‘The Others’ series so much – it’s still on my to-read list and I liked a sample that I tried! I am listening to ‘Malice’ at the moment and am happy, that a female characters finally turned up 😀 And even one I like! I am still at the start though and struggling with some of the names, but slowly getting more into it. I am still pretty new to audio books. Awh I totally get your feeling about Malice. Even tho its one of my favorite books, I kinda struggled with the huge cast at first too! But I assure you, your patience will be rewarded! 😉 aaand, just wait for some badass female characters in the next 3 installments!